[Updated on 31 October at 8AM] The Catalan crisis took a bizarre twist on Monday (30 October), when the dismissed region's leader went to Brussels in what was described as an attempt to look for political asylum. 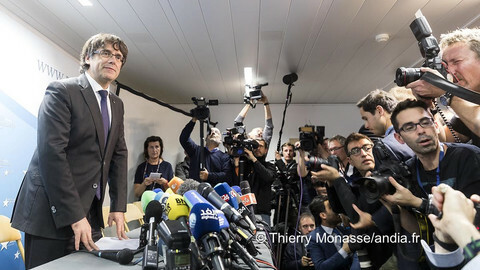 Carles Puigdemont flew to Belgium's capital with five former members of the region's government, where he met a Belgian lawyer, Paul Bekaert. Bekaert, who said on Monday evening that he was now Puigdemont's legal advisor, is known in Belgium as a human rights activist and an expert in extradition cases. In particular, he previously defended two alleged members of the Basque separatist terror group ETA, Luis Moreno and Raquel Garcia, whom the Spanish government wanted to extradite from Belgium in the 1990s and 2000s. On Monday evening, Bekaert refused to say whether Puigdemont was in Belgium to prepare an asylum request. Such a request, according to EU rules over asylum from one member state to another, would have almost no chance of being granted. 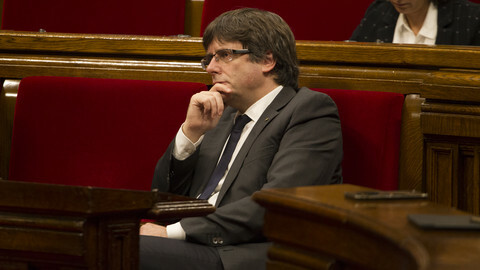 According to El Periodico, a Catalan daily, Puigdemont and his colleagues group drove from Barcelona to Marseille, in France, where they took a plane to Brussels. 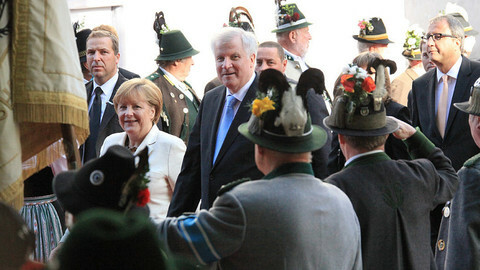 A initial rumour was that they were in Brussels to meet politicians from the Flemish nationalist N-VA party. Contacted by EUobserver, sources close to the N-VA declined to comment on the visit. Catalan sources in Brussels said they knew nothing about it. Catalan sources told a journalist from the local TV3 channel that Puigdemont was in a "discrete and secure place." An N-VA spokesman told journalists waiting outside the party's headquarters in Brussels that the Catalan politician was "definitely not here". He said that the party had not invited Puigdemont. Puigdemont is expected to give a press conference on Tuesday at 12.30 in Brussels. Puigdemont's travel came a day after Belgium secretary of state for asylum, N-VA's Theo Francken said on Sunday that it was "not unrealistic" that some Catalans could ask for asylum in Belgium. "When you look at the situation, the repression from Madrid and the prison sentences that people risk, you wonder whether there will be a fair trial," he told the VRT, the Flemish public media. Belgian prime minister Charles Michel, a liberal politician who leads a coalition that includes Flemish nationalists, later asked Francken "not to pour oil on fire." Puigdemont and his former ministers also left Spain the day the country's general prosecutor charged them with rebellion, sedition and embezzlement over last Friday's unilateral declaration of independence. All members of the former Catalan government, as well as parliament speaker Carme Forcadell and other parliament leaders were also charged. Puigdemont's Brussels trip is a "demonstration of the most absolute desperation," said Fernando Martinez-Maillo, the general coordinator of the ruling Popular Party in Madrid. He added that the former leader had "freedom of movement to go to Brussels and come back", while sources at the interior ministry told El Periodico that the most important was that Puigdemont was not in his office. Puigdemont and his government were dismissed Friday evening, when the Spanish government started to apply article 155 of the Spanish constitution that allows it to take over Catalonia's administration. The leader called on Saturday for a "democratic opposition to the application of article 155", and vowed to "continue working to fulfil the democratic mandates" and "build a free country." 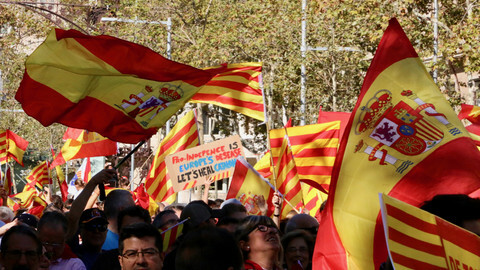 But the separatists leaders on Monday appeared to accept Madrid's takeover. On Monday morning, Puigdemont posted a picture of the Palau de la Generalitat, the Catalan government's building, with a caption saying "Bon dia" (Hello), but he was probably already on his way to Brussels. 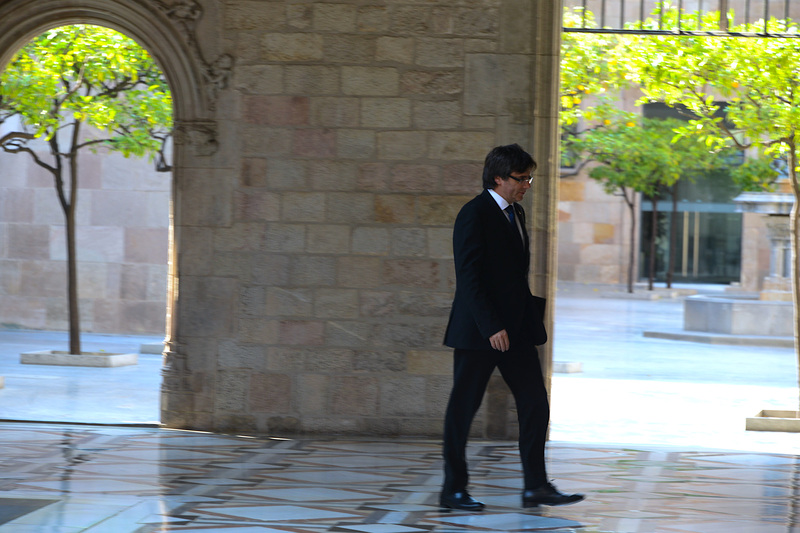 Only one former minister, Josep Rull, in charge of territories, went to his office despite being dismissed. He left quickly to attend a meeting of his PdeCAT party. Forcadell, for her part, cancelled a session of the Catalan parliament planned on Tuesday because the assembly "has been dissolved." 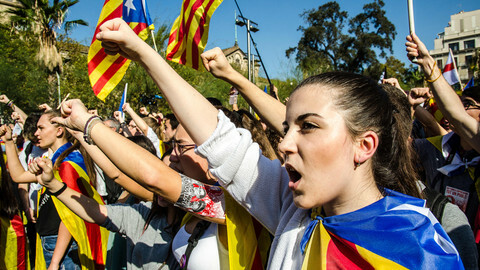 The parliament dissolution was decided on Friday by the Spanish government, which called elections on 21 December. In another sign that Catalan pro-independence are accepting the situation, two of the outgoing ruling coaltion, left-wing ERC and Puigdemont's own liberal PdeCat party, said that they will take part in the vote. "We have no fear of the ballot boxes, Mariano Rajoy. We will see each other there," PdeCAT's Marta Pascal said, adding that the party accepted the vote in order to "defend Catalan institutions". 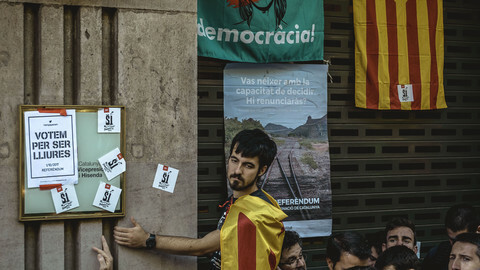 The Catalan National Assembly (ANC), the pro-independence movement which organised massive demonstrations in recent years and whose leader, Jordi Sanchez, has been in prison for two weeks, said that the elections were not "completely democratic". It said however than separatist parties should use them as a way to "obtain an undisputable victory that validates the republic". In Brussels, Catalonia's representative Amadeu Altafaj said that he has been "discharged" of his position "as part of the measures taken by the Spanish government last Friday." 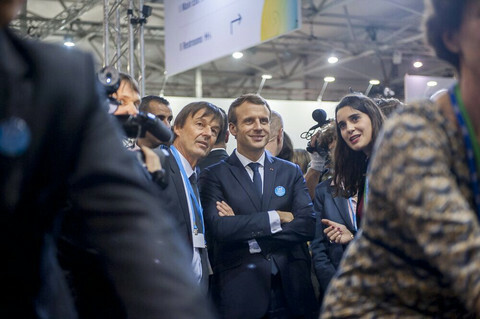 In a letter seen by EUobserver, he said that "Europe should always contribute to finding solutions and fostering dialogue." Asked by EUobserver, Altajaf denied media reports that he helped organise Puigdemont's trip to Brussels. He said he no longer worked "in no way for the [Catalan] government". Catalonia's delegation remained open, with all its staff working normally, as the region's administration is still running, a source told the website.